This is a fantastic book for those who want to learn more about paintings from the past, more specifically about the stories and hidden meanings inside the paintings. There are 100 paintings featured in this 432-page hardcover. These paintings are from the pre-1500 to the post-1900 period. Most of the popular and important paintings are included, such as Mona Lisa, The School of Athens, The Ecstasy of St Teresa (sculpture), Ophelia, The Scream, The Kiss, Guernica, Autumn Rhythm and many more. There are many pieces that I'm seeing for the first time. The variety is fantastic. In the early days, the paintings mostly relate to Christianity but the later paintings have a wider subject matter. Each painting is discussed in detail. There are close up to different sections of the paintings and commentary. For most people, when we look at paintings, we are just looking at a painting. This book shows us that there is more story beneath the surface of the canvas. And at over 400 pages, it will take a while to go through the book. It's a book worth revisiting in the future too. 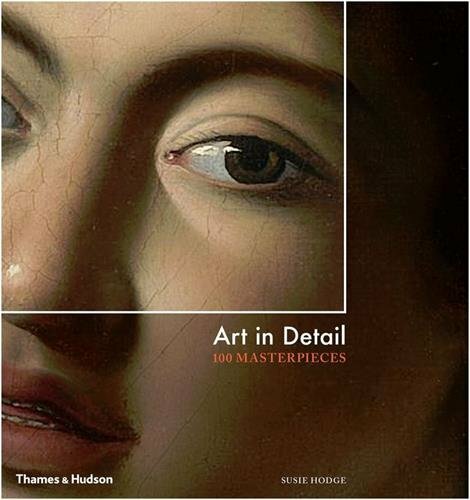 If you like this book, check out Color in Art and How to Read a Painting: Lessons from the Old Masters too. Thanks so much for including pictures of the book's design. This is a big help in making the decision to buy!